Windproof and Waterproof, the Takur series is our answer to facing the harshest elements. Built with Schoeller®'s cutting edge fabric technology, the Takur series uses a three-layer, 100 percent waterproof laminate rated at 19,500mm H2O. This means you get maximum protection in wet conditions. Windproof and Waterproof, the Takur series is our answer to facing the harshest elements. Built with Schoeller®&apos;s cutting edge fabric technology, the Takur series uses a three-layer, 100 percent waterproof laminate rated at 19,500mm H2O. This means you get maximum protection in wet conditions. In addition, we added Schoeller® C-change® technology which reacts to your bodies activity levels to ensure a pleasant body climate. 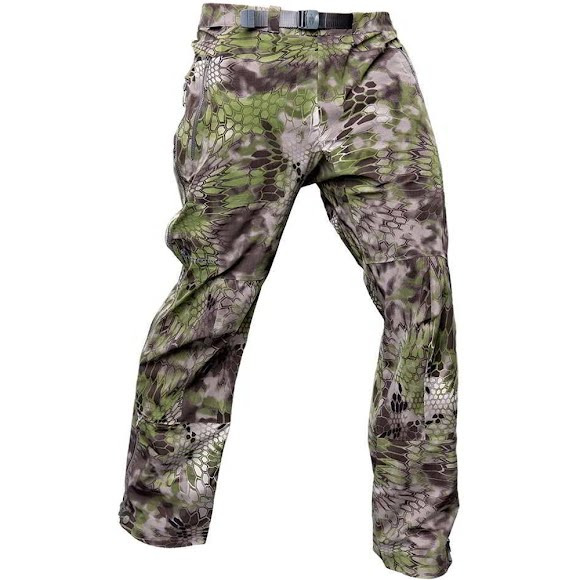 The technology in this pant is able to react to changing temperatures and moisture levels by means of an advanced polymer fabric structure. The structure contracts at periods of LOW activity levels keeping you warm and dry while expanding at periods of HIGH activity levels, allowing moisture vapor to be released to the outside air. This rain gear is truly on the forefront of fabric technology. Pack it in for extended stays and forget about mother nature. Measurements Inseam- Reg: 33", Tall: 35"